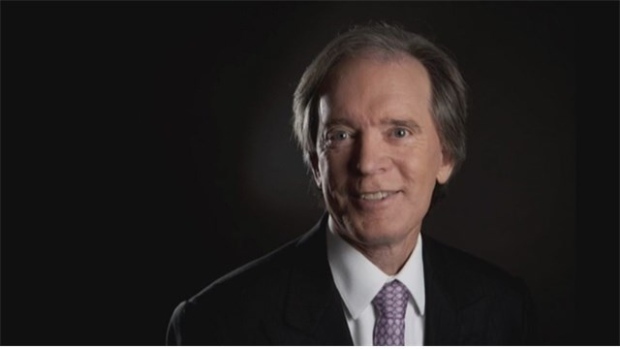 Bill Gross, who transformed bond investing over a storied four-decade career, is leaving the stage after a tough final chapter. Gross, who announced his retirement Monday, struggled in the last four years as head of the Janus Henderson Global Unconstrained Bond Fund. His performance failed to match the stellar track record he achieved while building Pacific Investment Management Co.’s Total Return Fund into a bond giant. Gross joined Janus Henderson Group Plc in late 2014. At Janus, Gross has seen assets in his unconstrained fund plummet and annualized returns of less than 1 per cent. Responsibilities for the fund will be assumed by the team that has been supporting Gross, Janus said. In his next phase, Gross, 74, will focus on managing his personal assets and remain active in charitable endeavors, according to a statement from Janus. He has made philanthropic donations of US$800 million in the past 20 years. Gross poured US$700 million of his personal fortune into the unconstrained fund. The go-anywhere fund lost almost 4 per cent in 2018, sparking a stream of investor redemptions that drove assets below US$1 billion from the peak of US$2.24 billion early in the year. Gross blamed losses during the year’s first half partly on a misplaced bet that rates on U.S. Treasuries and German bunds would converge, a position he eventually scaled back. Feb.04 -- Bill Gross, fund manager at Janus Henderson, discusses the impact of central bank policy on his funds and the "disadvantage" of low interest rates for investors. He speaks with Bloomberg's Tom Keene on "Bloomberg Daybreak: Americas." “The sort of underperformance we’re seeing is challenging and disappointing to him more than any of us,” Weil said in a Bloomberg Television interview last August. Gross, an Ohio native, was a gambler before he became an investor. He taught himself blackjack card counting from the book “Beat the Dealer” while recovering from a car accident during college. After graduating from Duke University, he turned US$200 into US$10,000 over four months in Las Vegas, raising the tuition for his MBA at UCLA. Investors withdrew hundreds of billions of dollars, little of which followed Gross to Janus Capital, as the firm was known before its 2017 merger with Henderson Group. On Monday, Gross was looking ahead. "I’m off -- leaving this port for another destination with high hopes, sunny skies and smooth seas," he said.